As well as being an amazing scuba instructor, experienced Japanophile, and all-round-fabulous-woman, my lovely friend Sophie Sakka is a humanoid robotics researcher. When we first met, Sophie was teaching a robot to jump. Now, she’s launched a non-for-profit organisation aimed at bringing robotics and the arts closer together, and within the reach of ordinary people. I think Sophie’s terrific, and wanted to share her work with the kids of Australia, so I wrote an article for CSIRO’s Scientriffic magazine. At just 58 centimetres tall, NAO is dressed to impress. Modelling outfits by French designer Marie Rebérat, the robot recently starred in its own fashion show, performing dance routines programmed by robotics researcher Sophie Sakka. Sophie and Marie decided to stage a fashion show, starring NAO. Performing might come easy for some, but for NAO, every move must be carefully programmed. And as we approach the mad, final run-up to Christmas, it feels like the hardest thing for me is balancing too. I hope you’re having a great Silly Season and I’m looking forward to a fab 20145 (already?)! 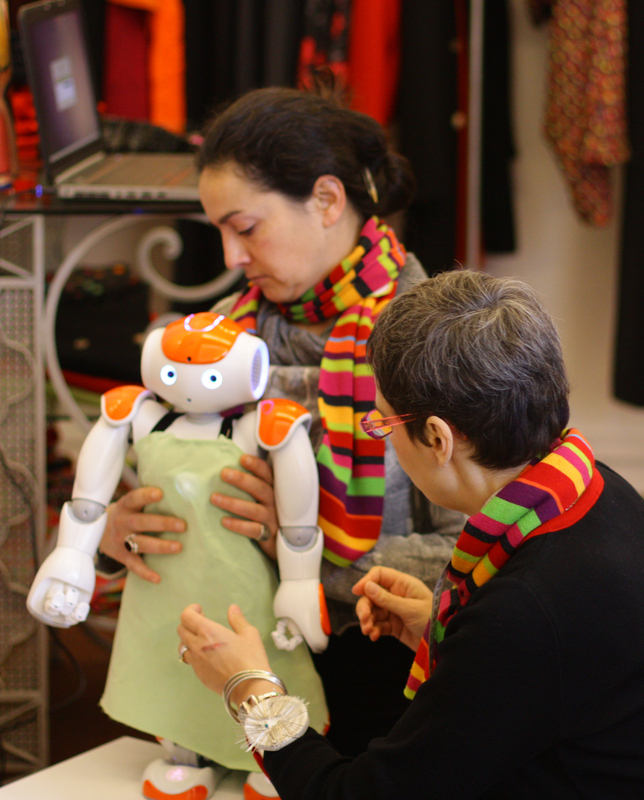 Tags: humanoid robotics, NAO, science writing, Sophie Sakka | Permalink.